Boko Haram’s reign of terror isn’t over. The Islamic terrorist group’s bloody insurgency, now 10 years old, continues to torment the Nigerian government and Nigerian people, like reported by thenationonlineng.net. Recent reported attacks happened on December 1, December 3 and December 4, 2018. The November 18, 2018 Boko Haram attack on troops at Metele village, Guzamala Local Government Area, Borno State, which claimed many lives, is still fresh. Since July 2018, according to AFP reports, there have been at least 22 attacks on military bases and positions in Borno and Yobe. The Islamic State West Africa Province (ISWAP) faction of Boko Haram claimed responsibility for most of them. Indeed, the Nigerian military needs to demonstrate that it can win the war on terror. There have been too many terror attacks and too many casualties. The repeated terror attacks on military targets cast doubt on the military’s grip on security; the attacks also raise questions about the military’s counter-insurgency capacity. It is sad that an estimated 27,000 lives have been lost since the insurgency started in 2009. Borno, Yobe and Adamawa states are the most affected. The destructive activities of the terrorist group have made about 1.8 million people homeless and caused a humanitarian crisis. The United Nations recently lamented the upsurge in Boko Haram attacks in the Northeast, and its effect on the civilian population: “It is heart-wrenching to see so many of these people living in congested camps, or sleeping outside with no shelter.” The rising number of military and civilian casualties is unacceptable. Boko Haram’s evil abduction of over 100 schoolgirls from the Government Girls’ Science and Technical College (GGSTC), Dapchi, Yobe State, in February 2018, further demonstrated the group’s lack of repentance. The Dapchi abduction compounded the still unresolved mass kidnapping of schoolgirls in Chibok, Borno State, in April 2014. Many of the Chibok captives are still in captivity. The Dapchi attack happened after Chief of Army Staff Lt.-Gen. Tukur Buratai restated his order to troops to capture Boko Haram leader Abubakar Shekau dead or alive. It is noteworthy that in 2017 the army chief gave his men a 40-day ultimatum to capture Shekau, and the army later offered a N3 million reward for information on the elusive Shekau. The factionalisation of Boko Haram has complicated the war on terror. A faction of the group led by Abu Musab Al-Barnawi claimed responsibility for the Dapchi abduction. The Chibok kidnapping was attributed to a faction led by Shekau. Abubakar Shekau was among the “The World’s Most Influential People” listed by TIME in 2015. The identified influencers in the 2015 TIME 100 were diverse enough to include the anti-hero. The TIME portrait said: ”The citizens of Nigeria, Africa’s most populous country, know Abubakar Shekau all too well: he is the most violent killer their country has ever seen.” Shekau’s terrifying profile was worsened by his group’s outrageous seizure of more than 200 Chibok schoolgirls. Shekau has been reported dead, or more specifically, reported killed, on at least two occasions; and there is speculation that Shekau may have become “a brand name” for whoever is the leader of Boko Haram. Before the TIME ranking, an international think tank, the Project for the Study of the 21st Century, said the Boko Haram insurgency was the fourth deadliest conflict in the world in 2014 and was responsible for 11, 529 deaths. The think tank added that the figure of fatalities could be underestimated. 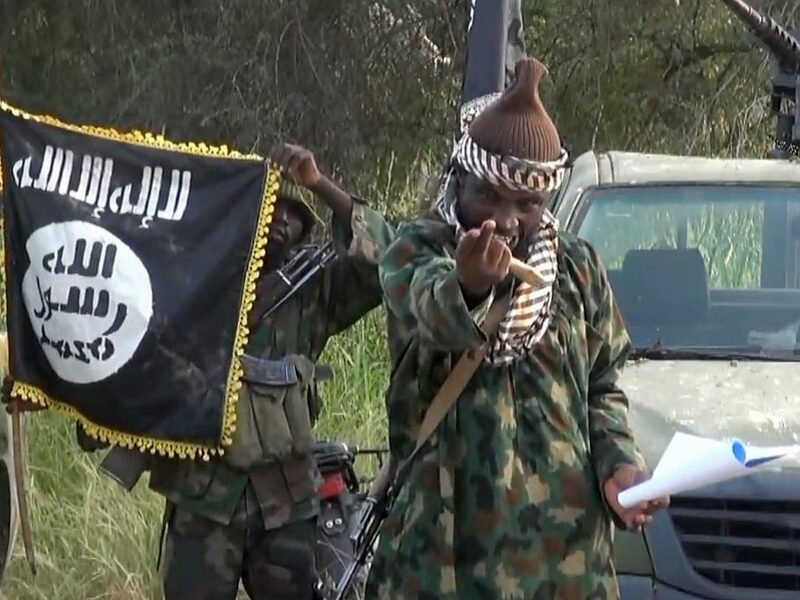 Al-Barnawi, reportedly in his twenties, is the first son of the late founder of Boko Haram, Mohammed Yusuf, who died in police custody in 2009 following a military operation against the group in Borno State, which further radicalised it. In August 2016, the extremist militant group, ISIS, appointed Al-Barnawi as the head of Boko Haram, a recognition which was rejected by Shekau. The Nigerian government under former President Goodluck Jonathan failed to defeat Boko Haram. The President Muhammadu Buhari government says it has “degraded” Boko Haram. As Boko Haram marks the 10th anniversary of its insurgency, it is clear that the insurgents are still dangerously active. The objective of the war on terror should be to make the insurgents inactive.